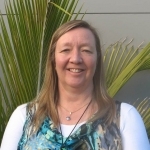 Jenny spent 8 years in dairy cattle practice before returning to Massey University to run the ambulatory production animal practice - a role she occupied for 10 years. After completing her PhD on the diagnosis and control of Neosporosis in cattle she took over coordination of the final year of the BVSc program and was recently appointed Associate Dean. 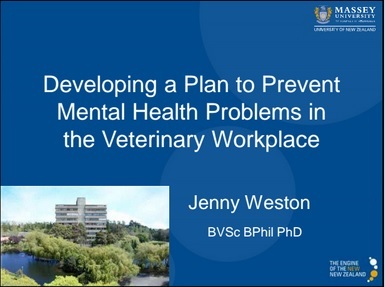 Jenny was President of the New Zealand Veterinary Association many years ago and is still strongly involved with the organization's dairy cattle vet branch and the veterinary wellness program. 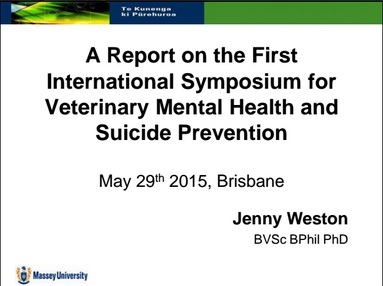 Research interests include: Neospora, BVD, equine endurance events, as well as veterinarian and undergraduate stress.